Contact Our Santa Barbara Criminal Lawyer Today At (805) 467-6060! In California, a DUI is a misdemeanor that carries a minimum 48 hours in jail for a first offense. Repeat convictions will translate into harsher punishments. 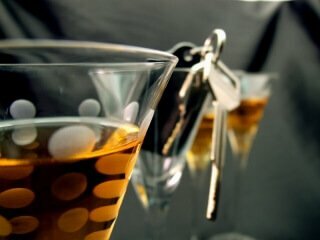 Any DUI within the last 10 years will be considered a prior conviction. Even with incriminating evidence such as a high BAC and blood tests, DUI charges are beatable. Furthermore, a DUI can jeopardize your immigration status, potentially resulting in your removal. If you have recently received a DUI, we strongly advise you to retain our immediate representation. Do not navigate through the complexities of the legal system with our personalized legal solutions and supportive assistance. At Appel & Morse, our DUI lawyers in Santa Barbara can look into the details of your case and explore ways to fight your charges. Our priority is to keep you out of jail and to protect your driving record and license. Whether we are scrutinizing the validity of chemical test results or questioning whether the arresting officer had probable cause to pull you over, we exhaust every option to help you secure the best possible outcome. Discuss your DUI charges during a free initial consultation. Call (805) 467-6060. When you retain our services, our Santa Barbara DUI defense lawyers are prepared to work for you. We can visit the location, study the arresting officer's background, reanalyze blood samples, examine a breathalyzer, subpoena and cross-examine officers, and look for any weaknesses in the prosecution's case. As your DUI attorneys in Santa Barbara, We are also prepared to help you fight for your driving privileges. After you are arrested and given a temporary license, you need to schedule a DMV hearing immediately, if you want a chance at having your suspension lifted. With more than 30 years of combined legal experience and a background that includes serving as a former deputy district attorney, we have the knowledge and skills necessary to fight for you. Our firm is intimately familiar with our local courts and the dynamics of the judges, prosecutors, and law enforcement officials. We are ready to use our insider knowledge to help our clients even the playing field. For a free, initial consultation, call Appel & Morse today at (805) 467-6060!